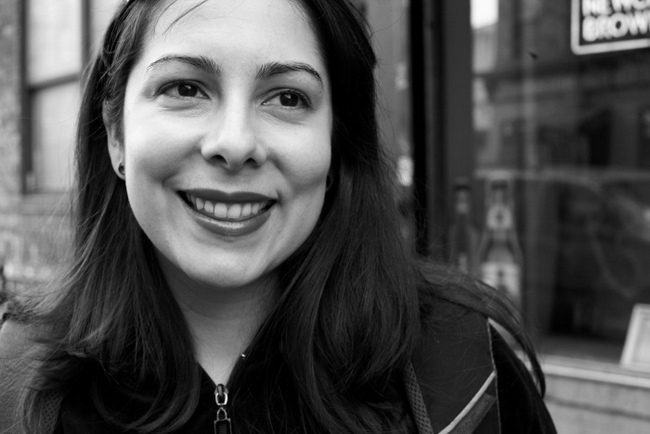 Oksana Marafioti – (1974) is an American writer, classically trained pianist, and cinematographer born in the USSR of Greek, Armenian, and Russian Romani descent. Her fiction and non-fiction has appeared in The Perpetual Engine of Hope, an anthology featuring stories written by seven Las Vegas writers, Fairy Tale Review, Slate, NPR, and other publications. Her critically acclaimed memoir, American Gypsy, follows her experiences in the former Soviet Union and her emigration to the United States as a fifteen-year-old just before the breakup of the USSR. Paola Schöpf – (1953), also called Kiriassa (Cherry), was born in Bolzano, Italy. At age eleven, as a result of family tragedy, she was given shelter at a college in Verona where she was meant to study to become a teacher. Before she completed her exams, however, she left to return to her family in the South Tyrol in Northern Italy. She belongs to a group of musically talented Sinti Estekharja from Austria. Her poems, written in Italian, have appeared in the anthology edited by Alexian Santino Spinello, published each year to represent the best submissions to the international Amico Rom competition. Diana Norma Szokolyai – is a young Hungarian-American writer/performance artist of Hungarian and Romani descent. She is Executive Artistic Director of Cambridge Writers’ Workshop, where she teaches and organizes Writing and Yoga retreats in France for adult writers. Her writing on literary communities was recently the subject of a monthly feature on HER KIND by VIDA: Women in the Literary Arts and Quail Bell Magazine. She author of the poetry collections Parallel Sparrows (honorable mention for Best Poetry Book in the 2014 Paris Book Festival) and Roses in the Snow (first runner-up Best Poetry Book at the 2009 DIY Book Festival). In 2011, The Brooklyn Art House Co-op digitized her handwritten chapbook, Blue Beard Remixed & Poems, written for The Fiction Project. Her writing has also been published in Lyre Lyre, the front page of The Boston Globe, Dr. Hurley’s Snake Oil Cure, Teachers as Writers, Polarity, Up the Staircase, Belltower & the Beach, Human Rights News, and Area Zinc Art Magazine, among others. She has released recordings of audio poetry in collaboration with musicians Dennis Shafer, Sebastian Wesman, David Krebs, Peter James, Howl Quartet, and Project 5 a.m. She also co-curates a poetry-music series, performs in CHAGALL PAC and is an interdisciplinary performance artist with the Brooklyn Soundpainting Ensemble. Her interdisciplinary work has been called “avant-garde” by The Boston Globe. She lives in Brooklyn, NY and was educated at Harvard, UConn, AMI, La Sorbonne Paris III and IV, and in her grandmother’s kitchen in Hungary.Website. Margita Reiznerová – (1945) is a writer who publishes in the Romani language. She was born in Slovakia, but moved to Prague, where she writes primarily poetry and prose fairy tales. Along with a group of fellow authors, she was inspired to work for an early Roma periodical, Romano Lived (Romany List) in 1970. 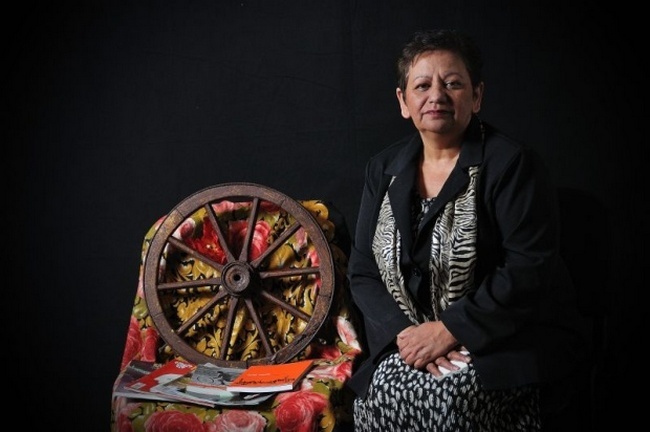 In 1989, she cofounded the Association of Roma Authors and contributed several poems to Kale Rose along with a prose tale, Le Gendalos Names of Roma (Mirror Roma). In 1992 she wrote a fairy tale,“Kali.”She also wrote a collection of poems entitled Suno (Dreams). From 1991-1994, she worked as the editor of the Romany Mirror and published additional poems in Amaro Lav and Romano Dzaniben. She worked as a nurse for many years and currently resides in Belgium. Sterna Weltz-Zigler – was born in Avignon, France and grew up in a caravan in Saintes-Maries-de-la-Mer. As a young woman, she made a living selling dolls of wickerwork in the marketplace. She moved to Paris and found a second home in Montmartre, where she felt she could be at once settled and free. She has been writing poems since 14 and has never lost the need to write. Her publications include the collection Romanes, from which the poem featured in Roads of the Roma: a PEN Anthology of Gypsy Writers is taken, and a memoir entitled My Gypsy Secrets. 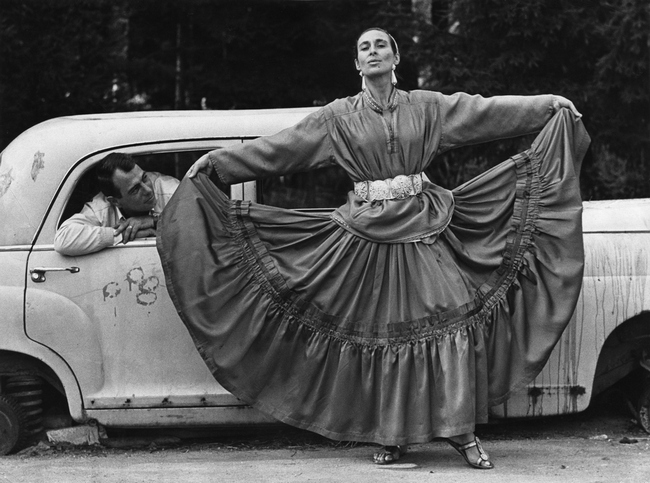 She is also the founder of a music group called Rumberos, where she recites her poems accompanied by four Gypsy guitarists. She lives in Paris with her husband Torino Zigler, a Romani painter, with whom she has collaborated on many projects. 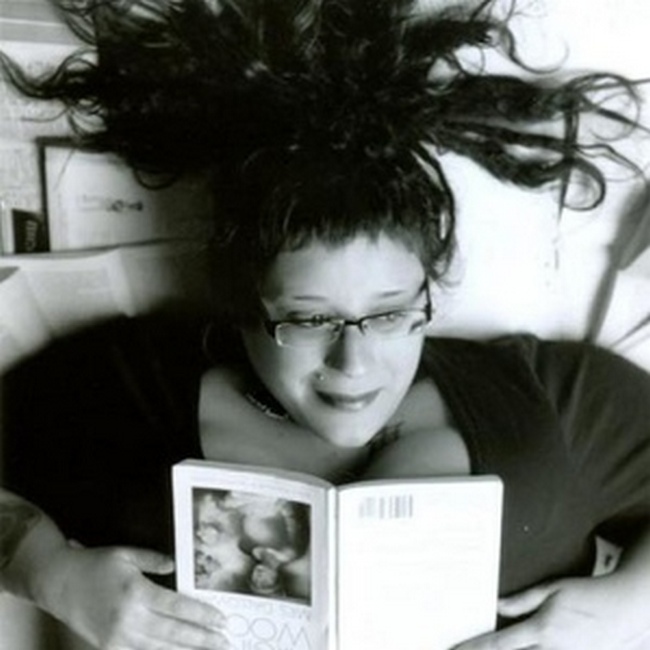 Nadia Hava-Robbins – born in Czechoslovakia, is a Romani writer/performer and holds a Master’s degree. 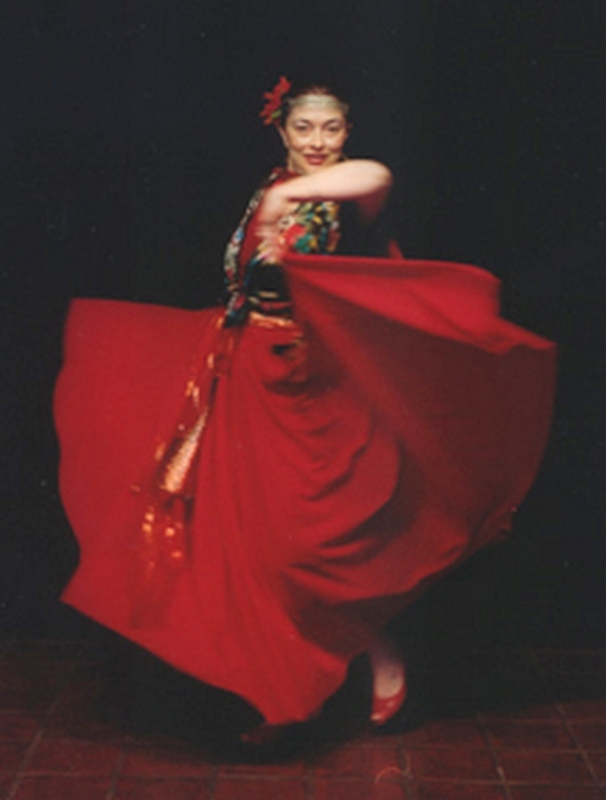 She has studied dance (classical, modern, ethnic, folk, historical, and ballroom) since the age of four, culminating in her acceptance to the National Ballet Theater of Prague, and continuing in the USA after emigrating in 1968. She has performed dance, poetry, storytelling, puppetry, and magic (and integrated combinations of these) in major cities and festivals across the USA and Canada, and appeared in a documentary produced by the National Film Board of Canada. She is founder and artistic director of the Traveling Bohemians, originally in Honolulu, HI, and now in Redding, CA for over 10 years, creating and presenting eclectic performances of music, dance, spoken word, and art. She teaches, dances in, and directs Eclectica Dance Company in Redding, devoted to interpretive, sacred, folk, ethnic, and period dance, and also teaches Meditative Movement. She is a nationally and internationally published poet, and founder and editor of the Bohemian Press. Tera Fabianova – (1930-2007) born in a Romani village in Slovakia. 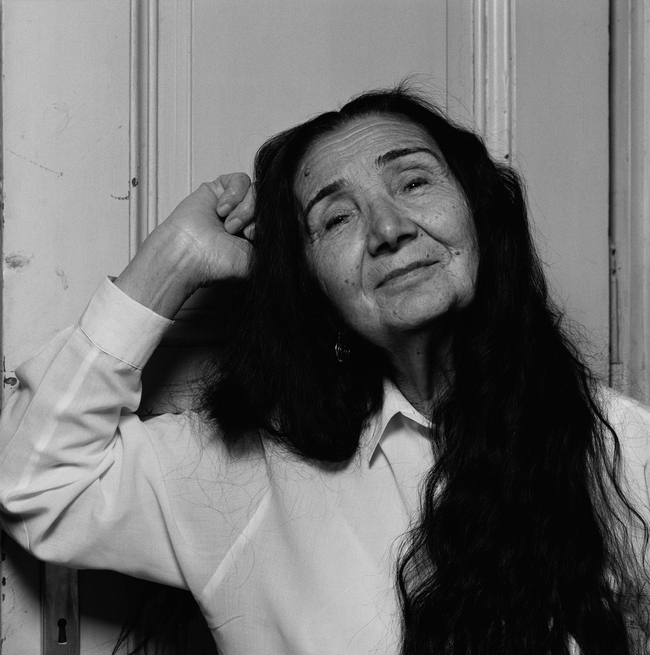 She’s been described as a “born poet,” despite the fact that she left school at eleven, she was fluent in four languages, and her poetry and stories celebrated for their lyrical qualities. She wrote in Rromanes, Czech, and Hungarian. 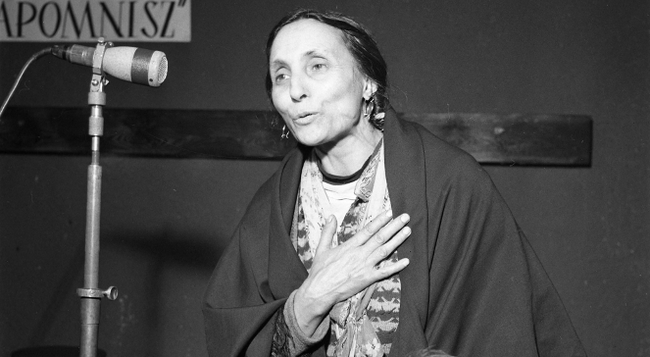 She wrote for Románo l’il (Romani Letter), which ran from 1969 and 1973 as the magazine of the Sväz Cikánů-Romů (Union of Gypsy-Roma) in Prague. Katarina Taikon-Langhammer – (1932-1995) was a Swedish Romani writer and actress, from the Kalderash caste. She was best known for writing the series of books Katitzi, partly autobiographical; in 1979, a TV series based on the books was produced). She died of brain damage after falling into a coma following an accident. Irena Eliášová – The poet, playwright and novelist Irena Eliášová spent her early childhood in a Romany village in south-western Slovakia. The memory of this time has become the defining experience in her writing. She writes about the lost world of her childhood in the 1950s and 60s and the life of Roma in the Czech Republic today. Her work is permeated with a sense of family and community that also draws us back to an older world of Roma tradition, and her childhood days in Slovakia are the subject of her short novel, Naše osada (Our Settlement) published in 2008. Thanks to the work of the Roma men and Roma women, we can dive into the historical world, the real facts are invested in each story or poetry. These are the pieces that are worth collecting.